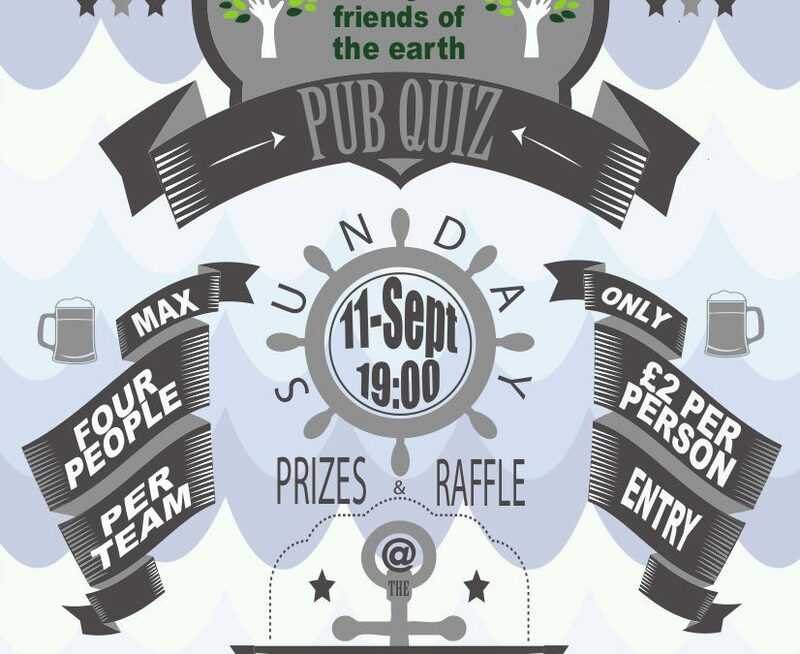 The Birmingham Friends of the Earth pub quiz is now firmly fixed into our fundraising calendar. The fifth one was held on 11th September at the Anchor Pub, Digbeth. Returning as defending champions, I was keen on our team regaining the trophy! We did well in the first round on soaps (showing that we spend too long watching them! ), though the Sherlock Holmes round proved trickier! Other rounds included local history, music and of course general knowledge. At the end of the quiz it transpired that the team I was on had indeed won. The quiz fell on my birthday so I had the honour of drawing the raffle. By pure coincidence I won a bottle of wine. Our campaigns coordinator, Libby, was a great host and everyone really enjoyed it. We raised over £100 from the quiz and this will be spent on campaigning. I look forward to my team defending the title at the next quiz! Come along to see if you can beat us!